Improves contact integrity and provides cable strain relief. 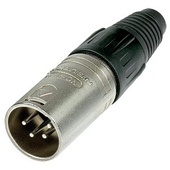 Designed for the universal D-size metal body XLR panel mount series. Features gold-plated contacts and a black metal shell. Has a nickel housing with silver contacts. Features a nickel housing and silver contacts. 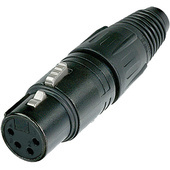 Can be used with products such as the Core SWX Cube 200 and Fleet Micro range of chargers.